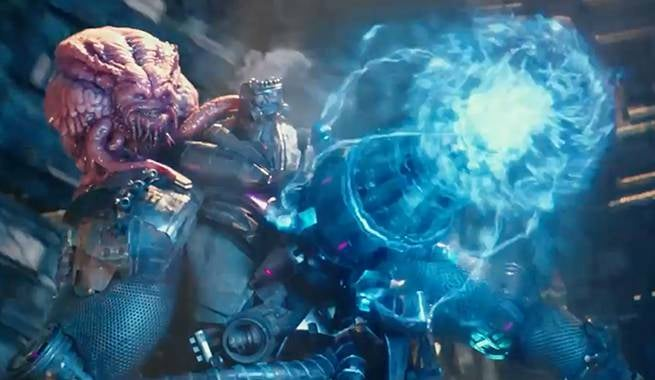 Krang, the brain-like alien popularized by the 1980s Teenage Mutant Ninja cartoon, looms large in two new commercials for the upcoming live action Turtles movie. Teenage Mutant Ninja Turtles 2, directed by Michael Bay, will feature the Utrom alien as the primary antagonist. Two new TV commercials released this morning previewed the pink alien's new look. Teenage Mutant Ninja Turtles 2 will be released in theatres June 3, 2016.